80% of the lemur’s original habitat in Madagascar has been destroyed. They are found in Masoala, in the Northeast of Madagascar. In 1997 Masoala Park was created as a refuge for these Lemurs. It is difficult to determine exactly how many red ruffed lemurs exist in the wild but numbers continue to drop. 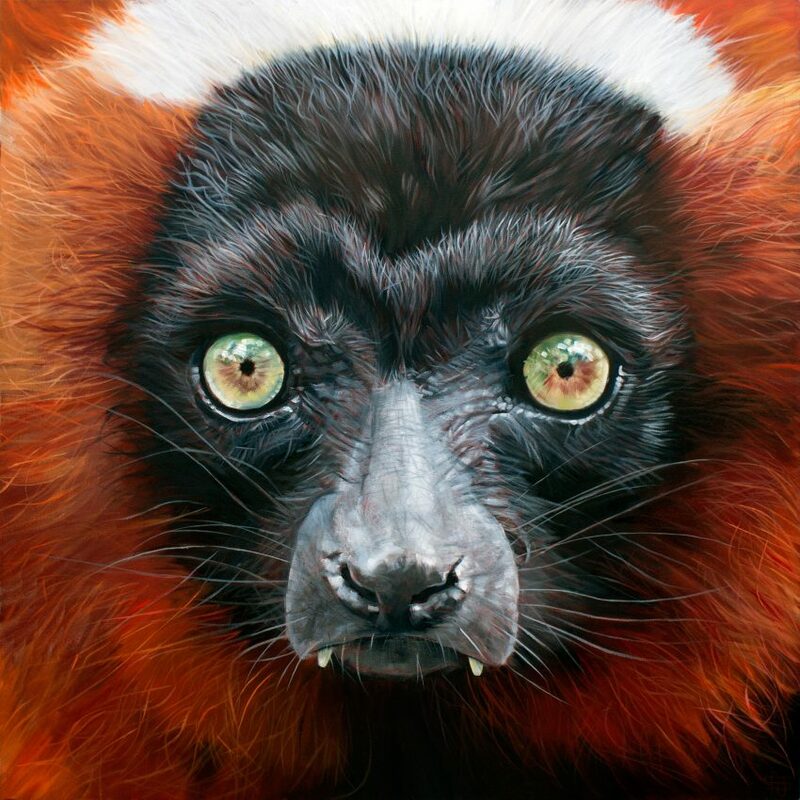 The IUCN red list, classifies these lemurs as ‘critically endangered. It is estimated that the population will decline by 80% over three generations (24 years, assuming a generation length of 8 years). The ongoing decline in size and quality of their habitat because of an upsurge of illegal logging. The unsustainable hunting of red ruffed lemurs for food.